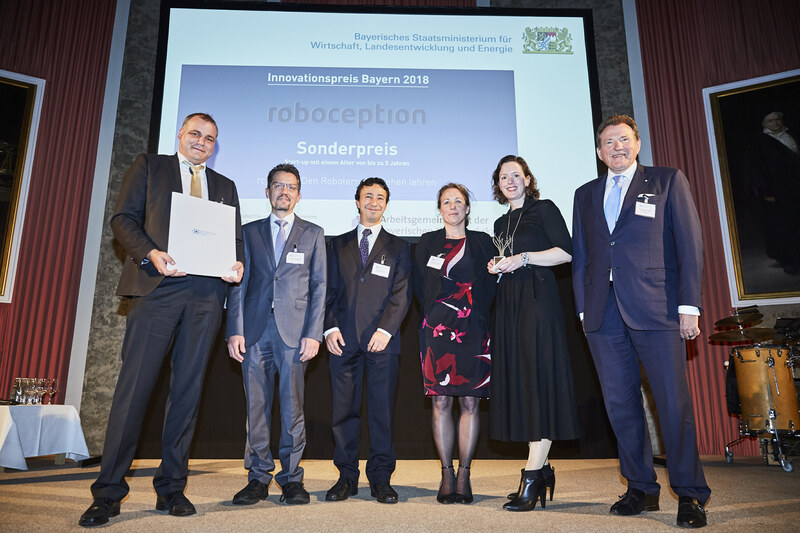 In the frame of this year’s Bavarian Innovation Award Ceremony, Roboception has received the Special Prize in the Start-Up Category. The Innovation Award Bavaria is awarded every two years by the Bavarian Ministry of Economic Affairs, Regional Development and Energie, the Bavarian Federation of Chambers of Industry and Commerce, and the Working Group of the Bavarian Chamber of Crafts in order to honour exceptional innovative achievements. It underlines the significance of innovations for the development of Bavarian enterprises and of Bavaria as a business location as a whole. This highly acknowledged prize is awarded to Roboception’s innovative 3D stereo sensor, the rc_visard. This award is of course a great honour for us here at Roboception! We are very proud to see our innovative development receive such prominent recognition here at our home base. 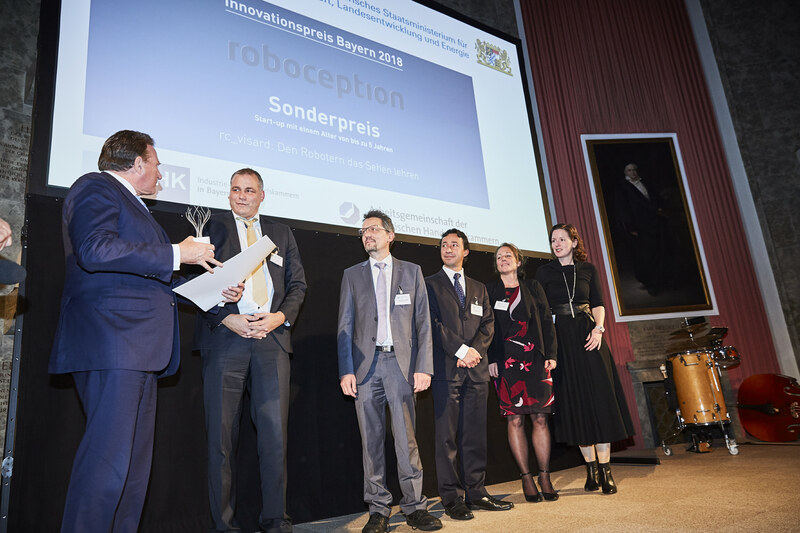 Dr. Eberhard Sasse, President of the Bavarian Federation of Chambers of Industry and Commerce (r), Roboception CEO Dr. Michael Suppa (l) and the Roboception Team at the Award Ceremony.